To be the most successful PCB and PCB Assembly service supplier. We will achieve this by having a tightly integrated Australian / Chinese business system which offers cost savings benefits coupled with quick turnover and efficient and timely supply. Provide the most professional services. We promise to provide you with unrivaled service and quality at an extremely competitive price. We will do our best to provide the fastest turn around times possible. Generic components with any prototype order up to 10pcs. Including but not limited to Capacitors, Resistors, Pin headers(Male/Female) Please email your files and BOM to sales@ourpcb.com for more details. We welcome and look forward to you visiting us. 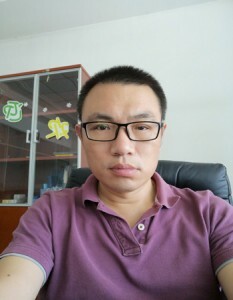 Hey, I am John, General manager of OurPCB. I am a responsible, intelligent and experienced business professional with an extensive background in the electronics industry, I own and operate PCB, PCB Assembly, and One Stop Wire Harness & Cable Assemblies Solution services in China. Please feel free to contact me for any requirements. Thank you.